Warsaw’s fast-growing art scene has exploded in recent years. with various independent galleries and art spaces in Warsaw dedicated to promoting Polish artists on the global art scene. A must-see event is the annual Warsaw Gallery Weekend: a collaborative project between numerous galleries in Warsaw, it offers a rich programme of exhibitions and cultural encounters. We discover 10 of Warsaw’s most exciting contemporary art galleries. Founded in 1976, Galeria Grafiki i Plakatu was created with the clear objective of promoting the creative pursuits of Poland’s most talented graphic artists. Since then, it has become one of Poland’s best-stocked galleries showcasing the heritage of the Polish Poster School. Over the years, and through tumultuous political change, it has exhibited a wide range of work, from politically charged posters to more conceptual, abstract graphic work. Some of the most prominent artists featured have included Franciszek Starowieyski, Jan Tarasin, Rosław Szaybo and Jan Lenica. In addition to showcasing individual artists, the gallery also organises thematic, collective exhibitions. Galeria Program was founded in collaboration with the Foundation for Promoting Contemporary Art and serves as its exhibition space. With goals like supporting culturally relevant projects and initiatives, promoting young artists and new artistic developments as well as widening access to contemporary art, Galeria Program has had its hands full with over 80 exhibitions. It welcomes all forms of artistic dialogue, including fine art, film, performance and encourages social impact projects. In addition to organising collective and individual exhibitions, Galeria Program also takes part in international art fairs, such as Preview Berlin and Volta. As of now, it represents ten intriguing young artists, including Dorota Kozieradzka, Michał Szuszkiewicz and Monika Misztal. Before moving to a large exhibition space in central Warsaw in 2013, lokal_30 was based in a small Warsaw apartment (number 30) for seven years – and so gained its name. Although most kinds of artistic projects are welcome here, including but not limited to performances, discussions and social actions, lokal_30 is particularly interested in promoting contemporary video art and installations. Innovative and eclectic, lokal_30 has exhibited works by Zuzanna Janin, Ewa Juszkiewicz, Maciej Kurak and many others. Between 2009 and 2011, the gallery also opened a temporary space in London as part of the lokal_30_warszawa_london project to acquaint the British public with artists from Poland and Central Europe. A similar project is planned to open soon in a different location. Electrifying, stimulating, compelling: Galeria aTak picks its artists well. The works hung on the pristine white walls often provide a stark contrast to the gallery’s modest décor. Some of the most recent exhibitions have questioned the status of painting in the modern world, analysed the aesthetics of war and examined the relation between centre and periphery. Owned by the Polish Modern Art Foundation, it was launched in 2007 with a view to showcasing contemporary Polish talent. English-speaking visitors might be interested in the gallery’s publications and catalogues, many of which are available in English. Young artists take centre stage at the m2 (m squared) gallery, home to both talented students and established young professionals. This ethos translates onto m2’s other activities: it seeks to represent emerging Polish art not only nationally, but also on an international level by cooperating with galleries abroad. Some of Poland’s most promising young artists such as Róża Litwa or Michał Frydrych made their debut there. With an intense and varied schedule, Galeria m2 exhibits exciting new work every couple of months. Foksal’s location, tucked away in an annexe to the Zamoyski Castle, is the only thing about the gallery that blends into the background. Since its launch in 1966, it has been the place to see and exhibit contemporary art in Warsaw. The child of art critics and artists alike, Foksal encourages radical modernity in art and pure creative freedom. As such, it has represented a number of revolutionary Polish artists, including Henryk Stażewski, Stanisław Dróżdż and Edward Krasiński. Importantly, artists – not managers – have always run the gallery. Their philosophy, embodied by Foksal’s exhibitions, is to offer artists a space to exercise their creativity free from the bounds of the art market’s commercial demands. Perhaps that’s what has made Foksal so important to Poland’s art scene. Królikarnia’s beautiful setting is worth visiting for its own sake: the ‘Rabbit House’, built in the 18th century, is a neoclassical villa, which endured an all-consuming fire in 1879 and was largely bombarded during the Second World War. Nowadays, it acts as a space for cultural exchange: home to numerous sculptures by Xawery Dunikowski, Królikarnia also hosts high-calibre exhibitions by world-class sculptors. Film screenings, workshops and lectures are all part of the gallery’s cultural offerings. While you’re there, take a stroll around the park that surrounds the gallery. In between the trees and shrubs, you’ll find a selection of wonderful sculptures from the National Museum in Warsaw. Founded by two art critics as a common project over 10 years ago, Raster has evolved into the place to be for young talent. 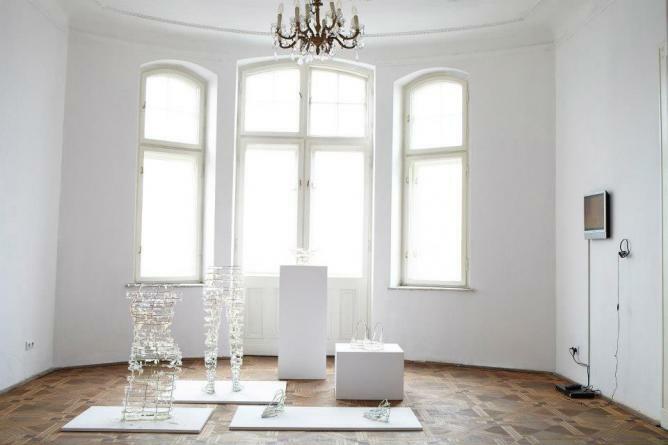 Nowadays, it is one of the most renowned private galleries in Poland. It has achieved global recognition by participating in art fairs, partnering with artistic organisations abroad and displaying exceptional artists, both Polish and international. Raster is constantly on the lookout for creative solutions to the institutionalised art market – and hopes to achieve just that through international exchange, experiment and social impact projects.Importantly, Raster is not afraid of controversy: among others, it represents Zbigniew Libera, creator of the much-contested Lego. Concentration Camp installation. Located in a 16th century Baroque castle in the centre of Warsaw, CSW (Centre for Contemporary Art) has a clear mission: to explore interdisciplinary approaches in art and push the definition of what it is to be a cultural institution. Their aim is to become a place where research, experiment, discussion and learning are made possible alongside current exhibitions. CSW’s diverse programme and compelling space also mean that installations, concerts, video art shows and performances complement visual arts projects. Dedicated to free, radical talent, the gallery hosts a permanent collection as well as temporary exhibitions by Polish and international artists. A relative newcomer to Warsaw’s contemporary art scene, Le Guern was founded in 2004. Since then, it has focused on following artistic trends and working with them, as opposed to imposing its own interpretations. Dynamic and genuine, the gallery prides itself on its appreciation of Poland’s current artistic landscape and eagerly explores all experimental and traditional forms of artistic expression. Having displayed both established and young creative minds, it is home to several talented artists, such as Zofia Kulik, Tadeusz Rolke and Jarosław Modzelewski, Le Guern regularly organises external projects and publishes exhibition catalogues to accompany its activities. This article was originally published on culturetrip.com, a one-stop digital platform for global culture and lifestyle.